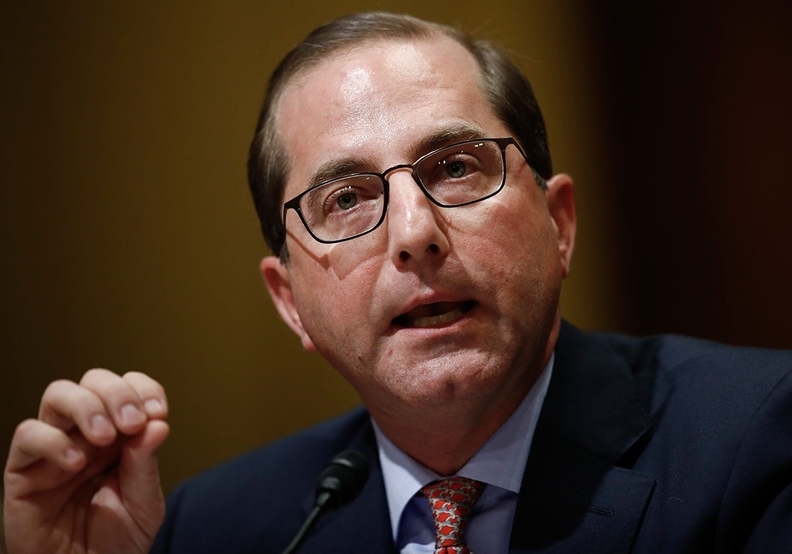 HHS Secretary Alex Azar has left St. Vincent Indianapolis hospital after an overnight inpatient treatment for a minor infection. HHS announced on Sunday that the secretary went to the hospital in his hometown "out of an abundance of caution" for intravenous antibiotics and observation. Azar remained in "regular contact" with senior officials at HHS and was "fully functional," according to the department. Azar also tweeted out a personal message on Monday, adding that his wife had "insisted that I call my primary care doctor when I wasn't feeling well." "Glad to be back at work for the American people," said Azar, who will return to Washington on Tuesday.